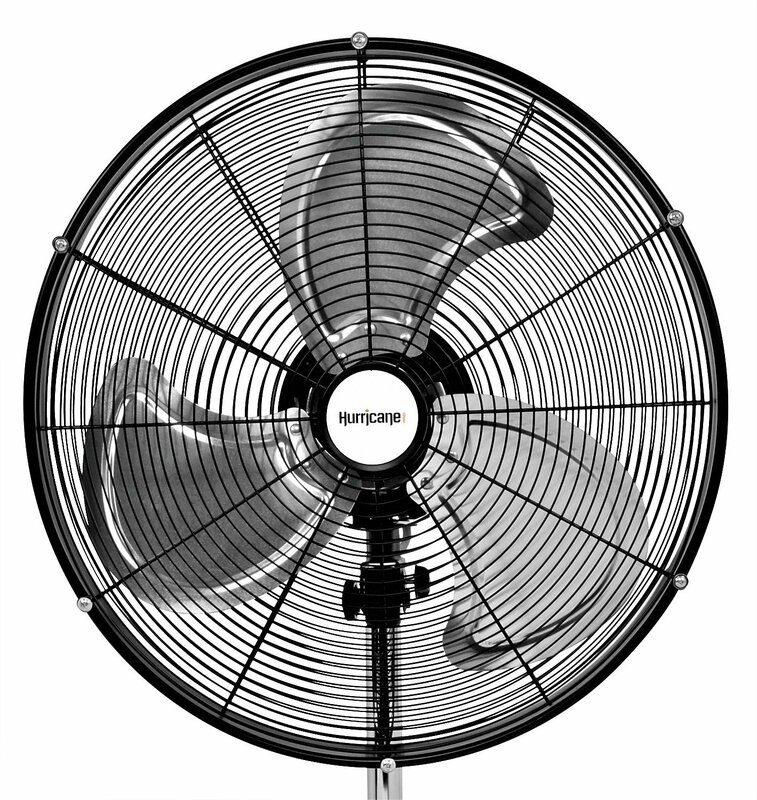 Fans come in many shapes and sizes so you need to make sure you get the best type for your requirements. Maybe you live somewhere with a pretty temperate climate and you just need something for those occasional nights when the mercury rises and molests your sleep. If so, a lightweight fan is more than fit for purpose. How about if you live somewhere like the Gulf or Las Vegas where the sun is always beating down? Perhaps your AC is becoming overworked and the utility bill is escalating. Maybe you’re still uncomfortably warm and it’s stopping you from sleeping? In today’s high velocity floor fan reviews, you can take charge of the temperature in your home for far less than you might imagine. We’ll jump straight into a glance at 5 of the strongest fans on the market to make your life easier for you. First in line in our best high velocity floor fan reviews is a cost-effective and rugged multipurpose unit from B-Air. The Firtana -20x is a 20-incher that you can pop on the floor or mount on the wall giving you a great deal of freedom without spending a fortune. While this is a pocket-friendly option, you’ll get a solid build and all the features you’d expect from 3 variable speeds to a fairly impressive airflow rating giving you the cooling you need even for larger spaces. Our focus today is on floor fans but the inbuilt advantage of the B-Air is the nifty little wall mount that offers you another option when it comes to placement and also helps you keep the fan up out of the way when it’s not in use. 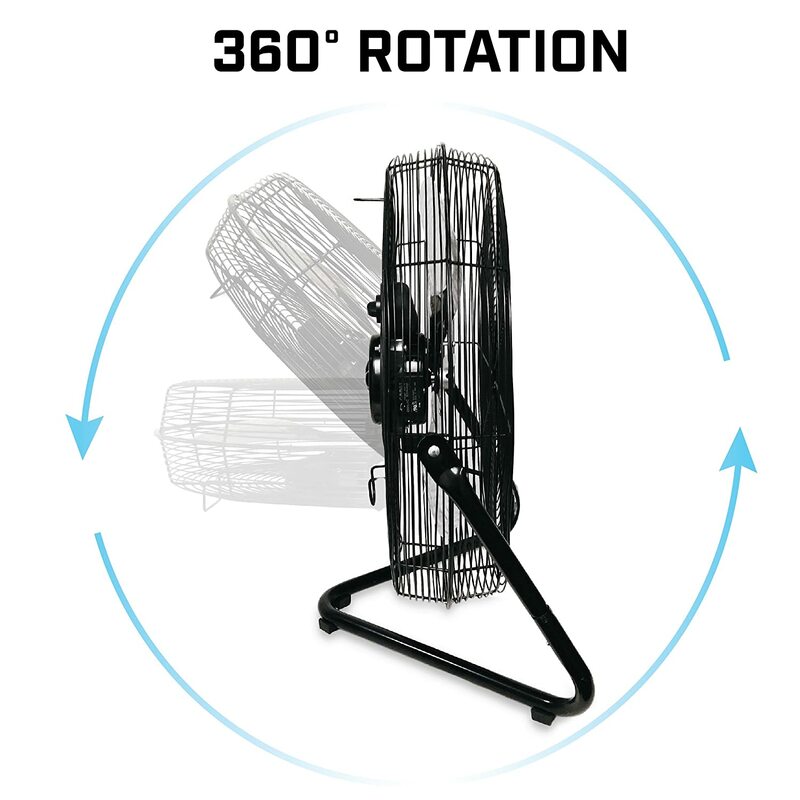 Throw in the ability to rotate this fan through 360 degrees and the only question you’ll be asking yourself is why you didn’t invest in one sooner. 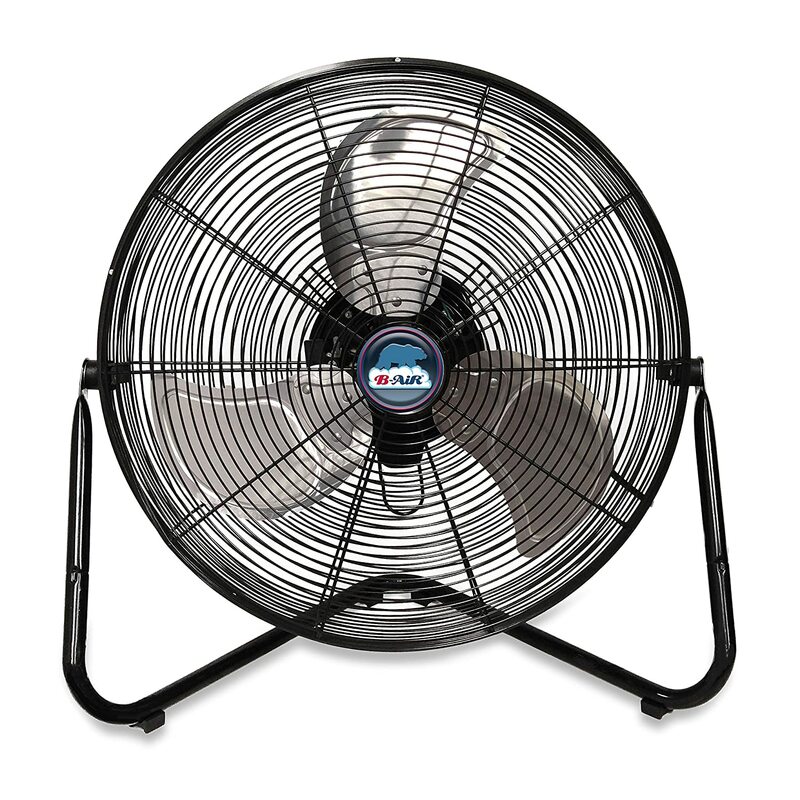 Next up in our best high velocity floor fan reviews is the legendary and aptly-named Hurricane. You can opt for a variety of sizes with floor or wall mounting available and also uprated drum fans. We rolled with the 20-inch floor-standing model and we were roundly impressed by the power and cooling ability. The build quality of this fan is also unimpeachable and it looks the part into the bargain. While it’s ideal for home use, you can also press the Hurricane into commission if you want to cool down your workshop, greenhouse or outside space. Easily adjustable and with airflow rated at 4500 CFM, you really can’t ask for too much more from a high velocity floor fan from a brand you can trust so what are you waiting for? 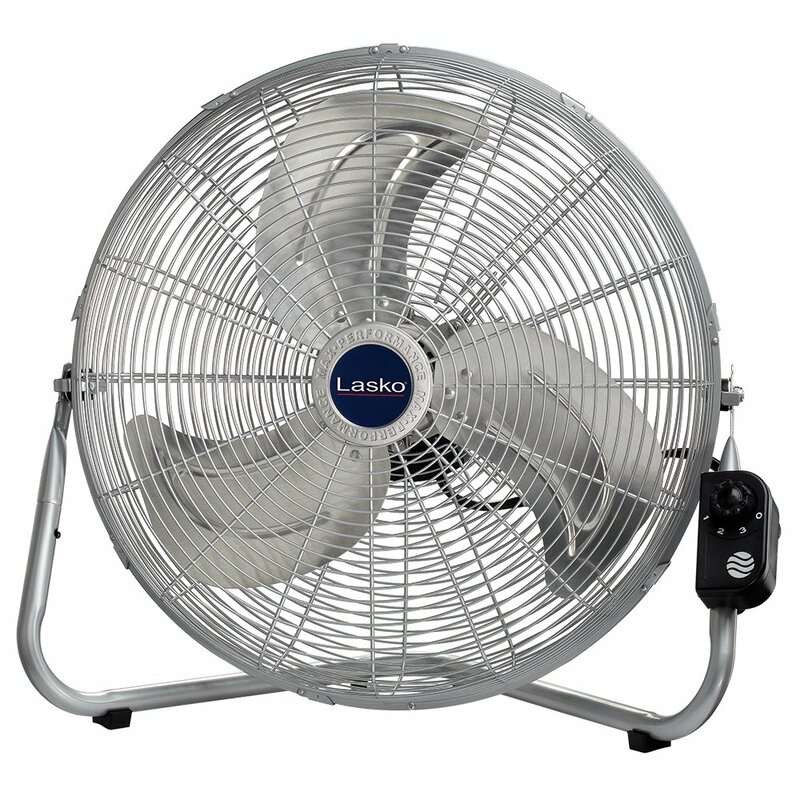 As we nudge the midway point in our best high velocity floor fan reviews, we’ve got a minimalist and robust unit from the highly reputable Lasko, a dominant force in the cooling vertical. With the usual trio of speeds – CFM is not readily disclosed by the manufacturer – and remarkably straightforward assembly, you’ll get everything you’d expect from a high velocity floor fan along with a durable commercial-grade build that allows you to run the fan day in, day out without burning it out. Many companies now understand that the configuration of open-plan lofts and sprawling homes makes wall-mounting a practical necessity so the innovative QuickMount gives you the option of placing your fan up on high or popping it on the floor according to your needs. If you want a high velocity floor fan with a twist, go Lasko and you’ll never look back. 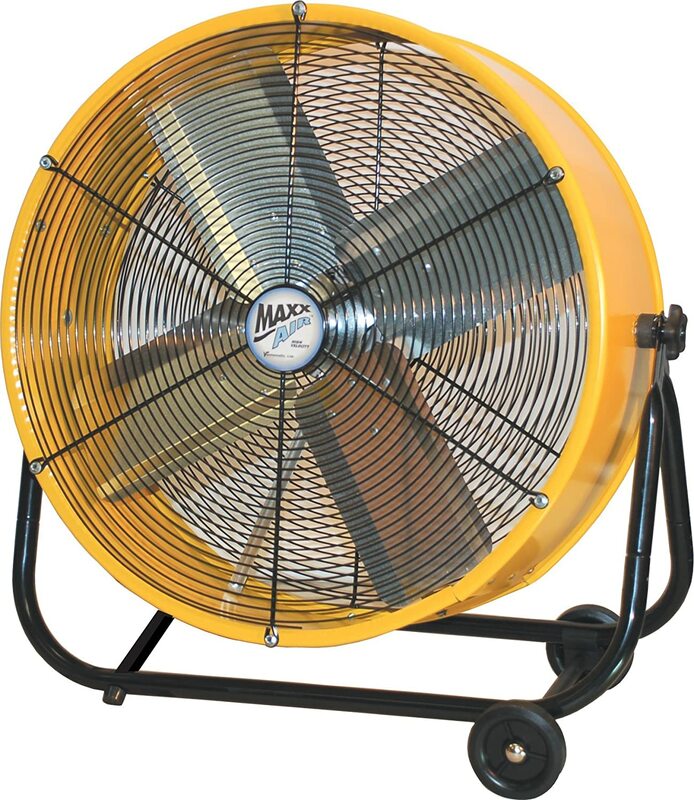 Nearing the end of our high velocity floor fan reviews, we’ve got a bright yellow beauty from MaxxAir in the form of a substantial 24-inch drum fan with full tilt functionality. You can flick between 2 airflow speeds and the potent motor is built to run for sustained periods without overheating. The wheels are a nice touch simplifying moving your fan around but we wish they were a little more robustly constructed. 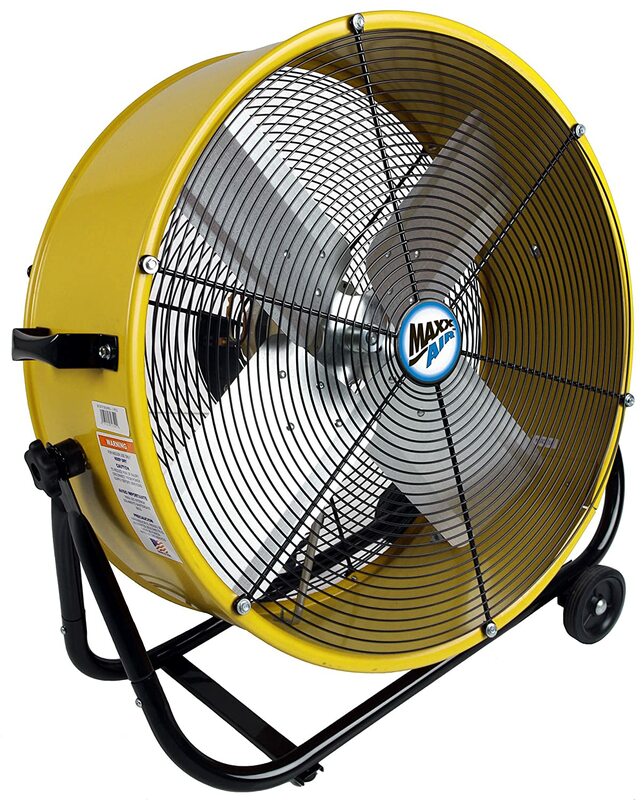 With the ability to tilt this fan, you can cool just about any space indoors or out in the yard. The MaxxAir also works well in basements and workshops so you’ll get a great deal of bang for your buck. To round out our high velocity floor fan reviews, we’ve got another 24-incher coming in at a fairly prohibitive price for some. If you’re looking for a cheap fan, this is not the model for you. If you’re looking for one of the very best on the market, though, there’s little substitute for the iLiving. While you’re not buying a fan for aesthetics, it doesn’t hurt if it looks the part and iLiving has you covered with this sleek and understated high velocity fan that won’t spoil the clean lines of your home. Fully adjustable airflow gives you a great deal of latitude and you can ramp things up to a chilling 5800 CFM at the highest setting. 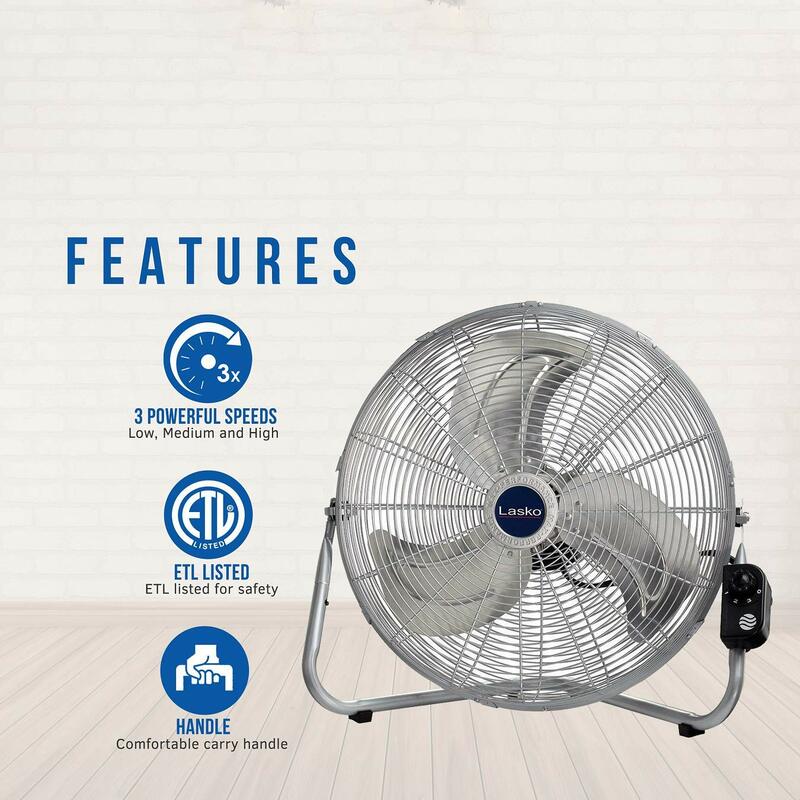 With build quality second to none and coming fully certified by the bodies that count, if you invest in this fan, you’re highly likely to be disappointed and absolutely certain to feel much, much cooler when those clammy summer days kick in. With our best high velocity floor fan reviews nailed, it’s time to look at why you might need one and what to look out for on the buying trail. What Is a High Velocity Fan? 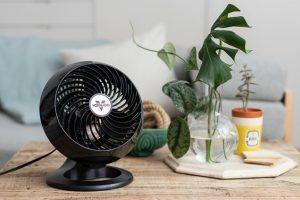 Originally conceived to cool down industrial spaces or larger areas like workshops, high velocity fans have become more popular as homes get larger and the weather seems to keep on getting hotter. High velocity fans are obviously used for cooling but also come into their own for drying and ventilation. Since running costs come in far lower than power-hungry air conditioners, high velocity fans are often used as an economical alternative or supplement to AC units. One of the most important metrics when looking at high velocity fans is the amount of air the fan can move. This is expressed in terms of cubic feet per minute (CFM). Think about the size of the space you need to cool and make sure you target fans powerful enough for that purpose by focusing on this CFM rating first and foremost. 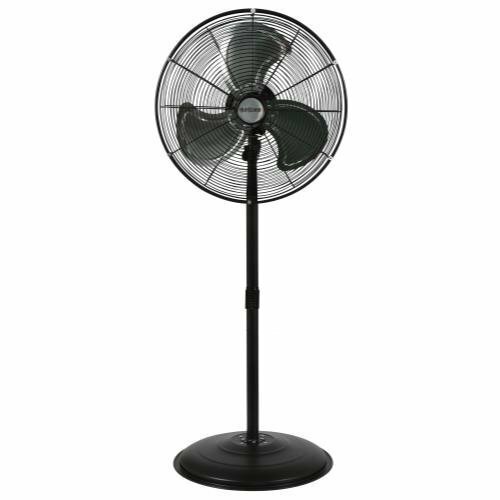 A regular axial fan is often sufficient so you should establish you really need a high velocity fan to save spending more than you need to. 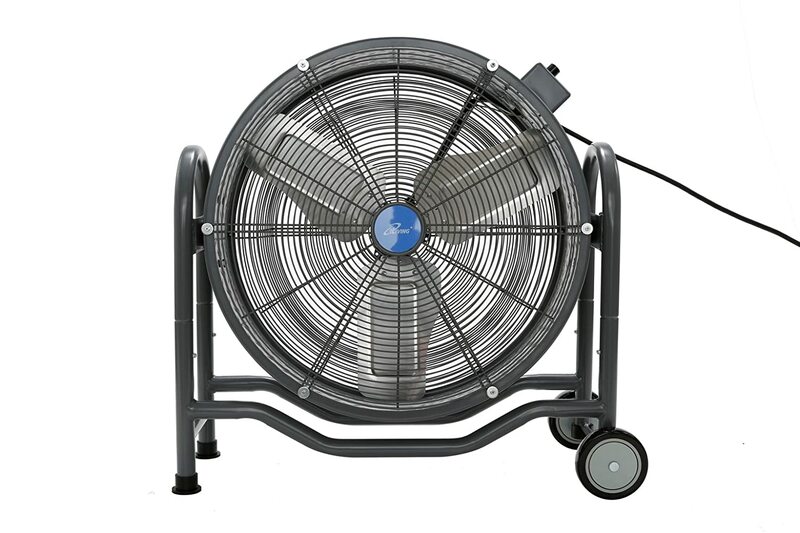 Axial fans pull air in then push it forward ensuring the air moves more rapidly in front of the fan than behind. Size and Number of Blades. Bear in mind that while you’ll extract more power, you’ll also need more energy to run this type of high velocity fan so factor ongoing running costs into your budget. 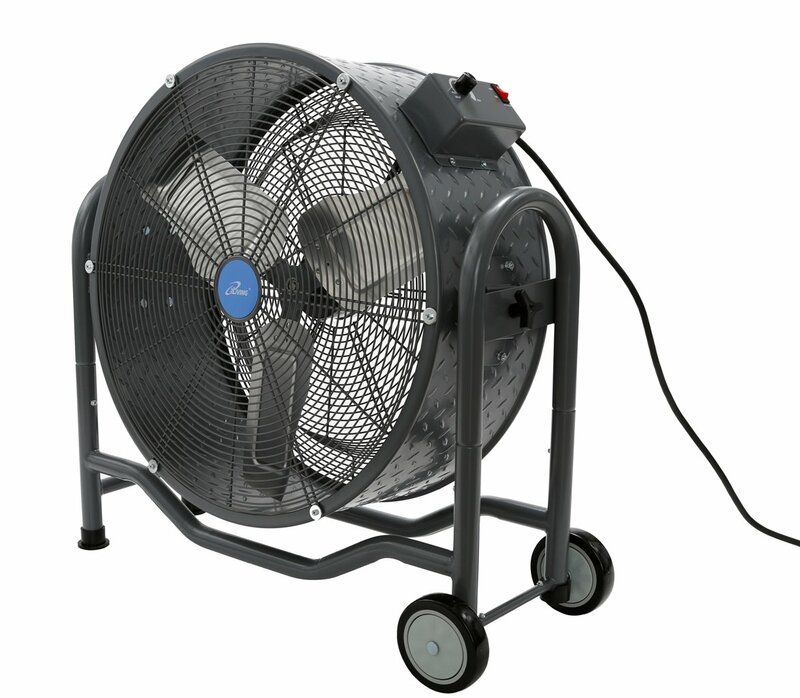 Since the vast bulk of floor fans don’t oscillate, the only real adjustment you can make is by tilting the unit. Think closely about the layout of your home. If you feel it’s likely you’ll need to angle the fan to cool an upper floor from below, make absolutely certain the high velocity fan you’re looking at has a tilt feature. As you’ll now if you’ve ever purchased any type of fan, the standard is 3 speeds. That said, not every fan comes with the ability to tweak speed so make sure the one you have in mind will deliver the flexibility you need. By now you should be clear on what high velocity floor fans do and you should have a sound idea of what to look out for on the buying trail. Don’t hesitate to reach out if you need help with this or anything else you’re struggling with. We’re highly responsive to messages and we love to hear from our readers so don’t be shy, get in touch! And come back soon for more home and garden related products to make your life better and easier. In Today's high velocity floor fan reviews, you can control the temperature in your home for far less cost.